The network announced Thursday that it has given a straight-to-series order to “The Conners,” the working title for the show, which would premiere this fall. 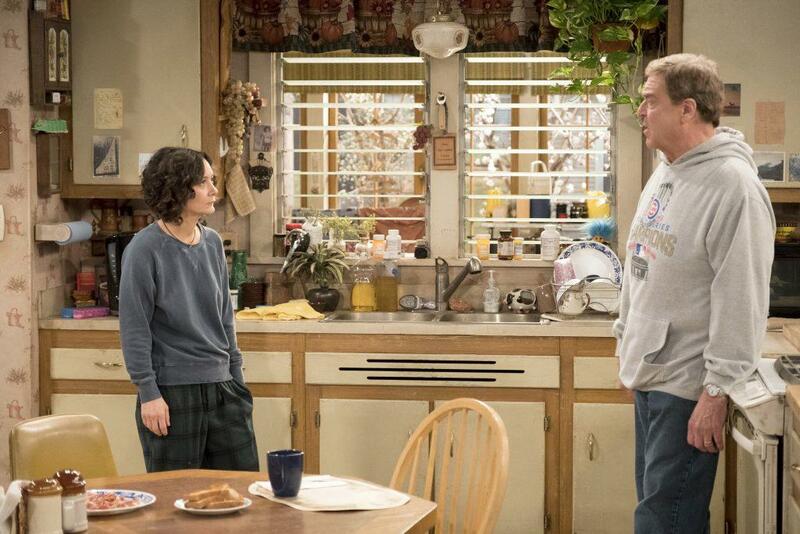 The season would consist of 10 episodes and is set to air Tuesdays at 8 p.m.
A breakdown of the spinoff provided by the network says that “after a sudden turn of events, the Conners are forced to face the daily struggles of life in Lanford in a way they never have before.” The description goes on to say the family will navigate parenthood, dating, an unexpected pregnancy, financial pressures, aging and in-laws in working-class America. The series is set to feature John Goodman, Laurie Metcalf, Sara Gilbert, Lecy Goranson and Michael Fishman once again reprising their Conner characters. Noticeably absent will be lightning rod and “Roseanne” namesake Roseanne Barr. The rebooted 1990s sitcom, despite its blockbuster success, was swiftly canceled last month after Barr tweeted a racist joke about former Obama administration official Valerie Jarrett. ABC emphasized that Barr will have no financial or creative involvement in the new series. Executive producer Tom Werner and Barr reached an agreement that will allow his company, Werner Entertainment, to produce the series without her participation. “I regret the circumstances that have caused me to be removed from Roseanne. I agreed to the settlement in order that 200 jobs of beloved cast and crew could be saved, and I wish the best for everyone involved,” Barr said in a statement. The news comes after weeks of talks as ABC explored the idea of salvaging the franchise without its anchor. Additional cast members and a premiere date will be announced at a later time. Published: June 22, 2018, 10:25 a.m.